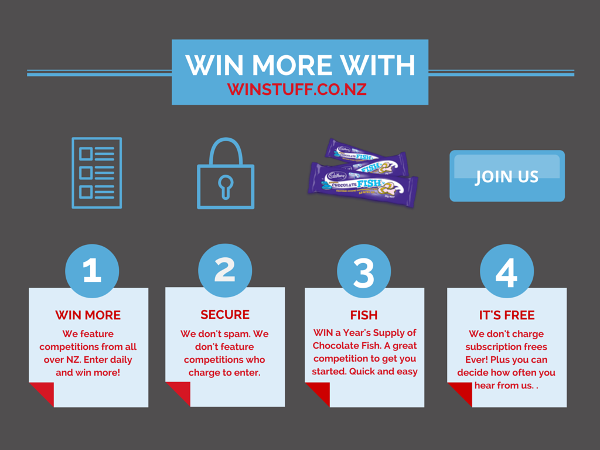 Here we list all the competitions in New Zealand where you can win an iPhone. The iPhone is one of the most desirable gadgets on the market today. Not only is it a smartphone, it is a fantastic music player and a gaming device too. There is a huge selection of games, apps and social media tools available for iPhone users on Apple’s App Store, and many iPhone devotees use their phone as a multi-purpose gadget for photography, social media, gaming, watching videos and more. The one downside to the iPhone is its price. Buying an iPhone outright is expensive, and not everyone is able to get a contract with a mobile operator, especially not the level of contract that iPhones and other high end smartphones are offered on. If you’re in that position then your main choices are to either buy a pre-owned iPhone, which may be of unknown quality, or try to win an iPhone in an online contest. Sweepstakes, quizzes and caption competitions that allow people to try to win iPhones can be found all over the web. These competitions are free to enter, and once you get used to entering competitions you will find that it takes just a minute or two to fill out your details and complete your entry. All you are spending is a minute or two of your time, and you could win one of the most wanted gadgets of the decade for your efforts. When you win an iPhone, you don’t have to worry about paying a monthly fee to keep it. You can get the phone unlocked and use a pay-as-you-go SIM card with it if you wish, or you can stay with the original provider and use the phone on a month-to-month contract. This is the most convenient and stress-free way of owning an iPhone and it’s ideal for people who don’t want to commit to a monthly expense.